This morning, Apple shared a new support document discussing the Super Retina OLED display in the iPhone X. The OLED burn-in “issue” isn’t new, and isn’t permanent with well-engineered panels. Evidence collected over the last few years demonstrates that retained images are wiped over a brief period of normal time of normal use displaying non-static elements. Over the past week, the Google Pixel 2 XL has been receiving some criticism over burn-in issues on its OLED screen. This is partially to do with the screen which is based on LG’s pOLED technology. However, the Pixel 2 has not been showing any problems because the display of the smaller device is based on Samsung’s AMOLED processes. 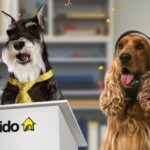 Fido Offering $400 Trade-In Credit on Upgrades or Activations in B.C.